Feeling Frustrated By Not Getting Ahead In Your Business? Unpack The 5 Simple Strategies To Grow Your Business to Maximum Profitability without Huge Advertising Costs OR the Guesswork. 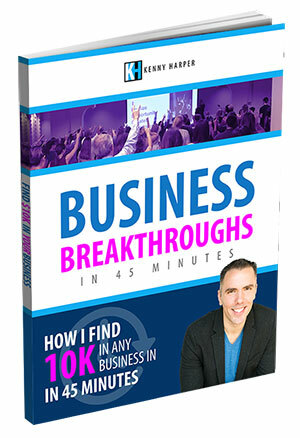 Get a Business Breakthrough and find 10-50K in Your Business in 45 Minutes or Less. GUARANTEED! PLUS get a free copy of our book, Business Breakthroughs: How I Find 10K in Any Business in 45 Minutes.